Typically the lead up to the #nf10for10 book event is filled with lots of hemming and hawing by participants as they think out loud (on Twitter) about what titles they should include. A lot of the banter surrounds how more titles than the 10 allowed can actually make people’s lists. And, of course, there’s the age-old dilemma–To buy or not to buy? Well this year, I am super motivated to buy books…especially picture books! Indeed, I do have a someone special and small in my life. My first grandchild was born on January 29, 2017, and she has been born into a family of readers! That she would receive many, many books from me was never at issue. BUT having an event like #nf10for10 (and then #pb10for10) to focus my thinking about what to get her when is terrific. So without further delay, let’s begin to build a library for baby! The foundation of a baby’s library has to be the board book. Here are 10 (plus). Rule #1 in choosing children’s books is knowing the illustrator as well as the author. In Hello Baby! two perennial favourites collaborate to hook young readers (and their parents) into falling in love with text. If baby loves this book, more Steve Jenkins and Mem Fox will be heading her way! Rule #2. Include the dads. Find a book that dads will love reading to baby. I’m betting my son will return to this book often as it captures the hard work and pride that he values so much. With dancers on both sides of her family, there is no side-stepping this topic. Mommy and aunties are sure to gravitate to this book and to read it to baby with passion. That’s key, isn’t it? That the parents and relatives of baby will read to her. That they will sow that seed. Baby’s library has something for everyone! A police car, pickup truck, sports car, and monster truck clang and bang and screech and vroom! This is a book that demands interactivity. It’s the best kind of read aloud because the reader can offer up his or her own interpretation of the mechanical cacophony presented on the page. This is a lively and fun book! As the days and weeks and months go by, baby will be ready to name things. Colours are a great place to start because they’re everywhere! I absolutely love the illustrations and the point of view in this book. I always knew crayons were alive! And she will begin to count. 1 is One is classic Tasha Tudor. The illustrations are of days gone by ~ bonneted girls and a boy writing on a slate; simple, natural settings with some of a whimsical nature (I especially enjoyed the “12 baby birds learning how to sing”). In addition to being aesthetically pleasing, the text teaches the numbers 1 through 20 in a rhythmical way. A joy for adult and child alike! Oh my gosh! It’s Canada’s 150 birthday this year. What an awesome year to be born in! 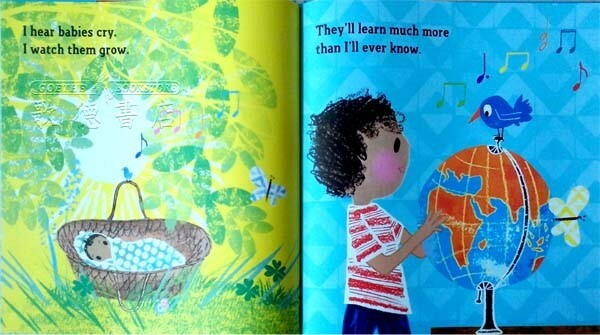 What better way to connect than with a gorgeously illustrated book all about Canada. This book has legs….in the pre-reading years, it offers wonderfully drawn images of Canada’s iconic symbols, souvenirs and events, including the Dogsled, Inuksuk, Loonie, Totem Pole and the Zamboni machine. And as baby gets older, there is depth to the content of the book like information about the provincial flags. Lots of learning to be had here! There is no way I could build baby’s library and not include something from Eric Carle. This classic is designed to help toddlers associate colors and meanings to objects. The book contains all the wonderful and simple illustrations that Eric Carle is famous for. And its repetitive story of all the animals that are found, keeps everyone engaged, reading along, and chanting until…SURPRISE! Ok. I cheated. I know. But I wanted to include the idea of the series in the foundation of baby’s library. I want to entice my new reader to books not just for information and not just for the illustrations. I want her to notice what authors do when they write/illustrate/create their books. And that knowledge only comes about with some deep diving into multiple texts by the same author. What: 10 nonfiction picture books you can’t live without. Who: Anyone interested — educators, media specialists, librarians, parents, and book lovers. Where: All posts will be linked on the 2017 #nf10for10 page of the Picture Book 10 for 10 Google Community Site.